"And so they lived happily ever after" is a conventional formula for concluding a fairy tale. Alas, it is false and we know it, for it suggests that, once Good has triumphed over Evil, man is translated out of his historical existence into eternity. 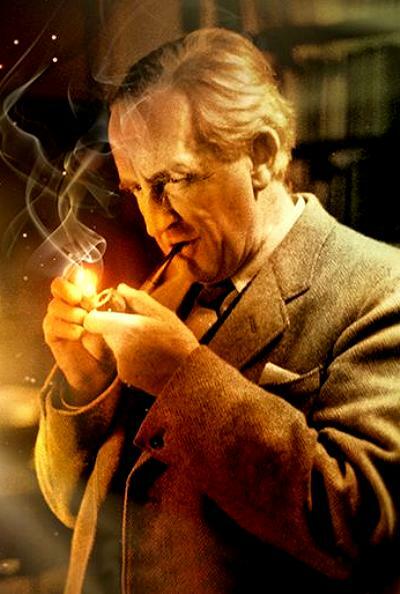 Tolkien is much too honest to end with such a pious fiction. Good has triumphed over Evil so far as the Third Age of Middle-earth is concerned, but there is no certainty that this triumph is final. There was Morgoth before Sauron and, before the Fourth Age ends, who can be sure that no successor to Sauron will appear? Victory does not mean the restoration of the Earthly Paradise or the advent of the New Jerusalem. In our historical existence even the best solution involves loss as well as gain. With the destruction of the Ruling Ring, the three Elven Rings lose their power, as Galadriel foresaw. Even Frodo, the Quest Hero, has to pay for his success. If there is any Quest Tale which, while primarily concerned with the subjective life of the individual person as all such stories must be, manages to do more justice to our experience of social-historical realities than The Lord of the Rings, I should be glad to hear of it. W.H. Auden, "The Quest Hero" was reprinted in Neil D. Isaacs and Rose A. Zimbardo, Tolkien and the Critics, University of Notre Dame Press, 1968, where I first found it.